Nespresso and Keurig are two sets of products that anyone who’s not really familiar with the coffee world can easily get confused between. In fact, even those who have been drinking coffee for years are often unable to understand the prime differences between the two. However, this makes it all the more important to know them so that you can choose the right one when you have to buy a machine for yourself! So, in today’s article, Gamble Bay Coffee brings to you the main differences between these two. However, before we jump into that, it’s important to know what these two things actually are and how they work, so let’s get started without further delay! What is so Special About Keurig? The Keurig System uses special cups, known as K-cups for brewing coffee. These are available in the market and you can buy them and use them with your Keurig Maker to prepare anything from you. One of the best things about Keurig is that it has become one of those traditional things that are made by a lot of companies. And given the fact that Keurig has not limited it’s licensing like Nespresso, a lot of companies are out with Keurig products, offering you several alternatives. In fact, a lot of people tend to go with Keurig because of the sheer amount of alternative choices present in the market when it comes to the kind of drink you’re trying to prepare, their flavor, as well as specific blends and combinations that aren’t offered with any other system. What is so Special About Nespresso? Nespresso is one of the newer products available in the market. However, like all successful new trends, it has made room for itself and there is great demand for its product. Initially developed by Nestle, they have decided to produce the Nespresso machines and accessories themselves, thus limiting it a bit- but on the positive side, you can be sure about the quality that’s maintained. Nespresso Machines are using lacquered aluminum capsules that are for single use. Most of the middle to upper range machines are able to read the bar-codes on the capsule and prepare the coffee in the way it’s perfectly supposed to, giving you the perfect flavor that the capsule is intended for. There are actually quite a lot of differences between the two! These two, although seemingly really similar, have quite a lot of differences among themselves and this can easily be seen if only we take a closer look at the two. And these are the ones that you must keep in mind if you want to make the right choice when it comes to buying a machine for yourself. Traditional Aspect: Keurig is like a traditional version of Coffee that has been established in the market for a long time and that most people just prefer to stick to. However, if you’re not afraid of trying out new things, Nespresso is one of he newer things that has made a good name for itself in a really short time. Versatility: Keurig is a lot ahead of Nespresso when it comes to versatility. 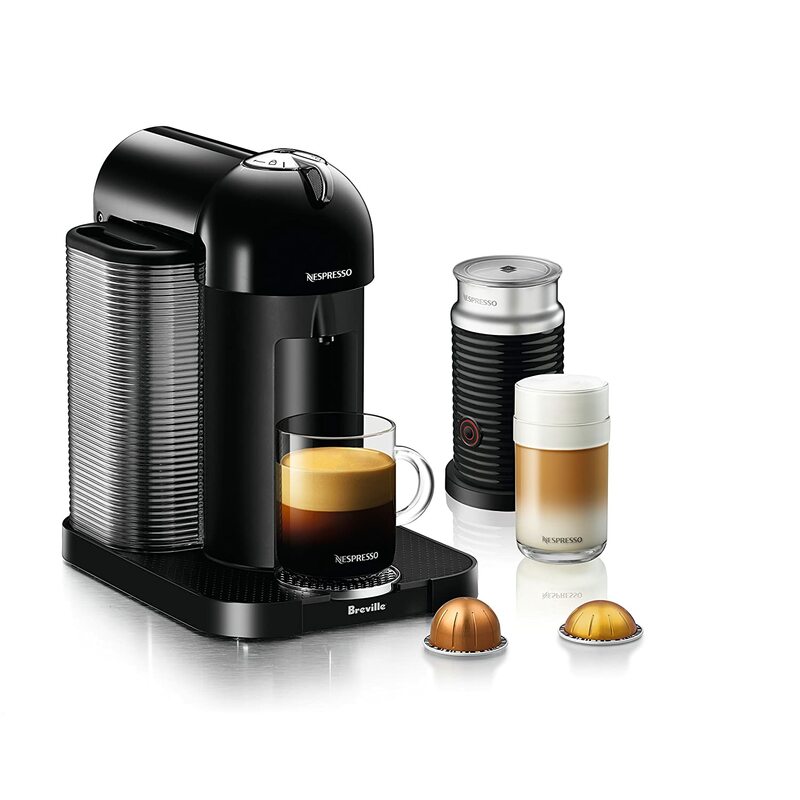 Nespresso only lets you make Espresso (with the exception of a few models like the Vertuo that lets you make coffee too.) while the Keurig allows you to make Tea, coffee, espresso, and even hot chocolate! Exclusiveness: There are a lot of people who love tea just as much as they love coffee. These people mostly tend to go with the Keurig makers because the tea-making option is exclusive to Keurig. Functionality: In case of Kurig, you can actually decide how you prepare your coffee- you have a certain degree of control to prepare it according to your tastes. While you do have a really little amount of choice in case of Nespresso, it mostly operates by itself and that’s something that makes a lot of people just go for the good old Keurig instead. K-Cups VS Capsules: The Keurig offers you K-cups to use while the Nespresso offers you capsules. Keep in mind that Nespresso offers you two kinds of capsules, as we have already discussed earlier in this article: Vertuoline and Originaline. Availability and Variety: Keurig K-Cups are available from a lot of sellers and so it’s available in a lot of varieties, blends and combinations. There are so many different types you can even find very specific things like low acid k cups! The Nespresso capsules, on the other hand, makes its own products and hence these are a little more limited and this might take time to get used to if you’ve already been using Keurig for a while. Aesthetic Aspect: This is yet another important thing to consider. Most of the people seem to say that the Nespresso machines take the lead when it comes to the Aesthetic aspects of the available models. User Reviews: The people who have had the chance to use both and compare them and can speak from their personal experience mostly seem to agree on one thing: Nespresso makes the better espresso! So, if you are looking for only espresso, you might seriously want to consider the Nespresso Machine. At the same time, you need to keep in mind that for almost anything except Coffee and Espresso, Nespresso is not the right choice for you. Honestly, both are equally great options to go for. You just have to understand what your exact needs are, and it becomes increasingly simple to find the right one for yourself. For instance, if you want to make tea as well, the Nespresso is obviously not the right choice for you. Of all the Nespresso machines available right now I recommend most people consider buying the Nespresso Pixie first because of build quality and value for dollars spent. Of course it won’t brew coffee – just espresso so if you want coffee then you have to go for Keurig. 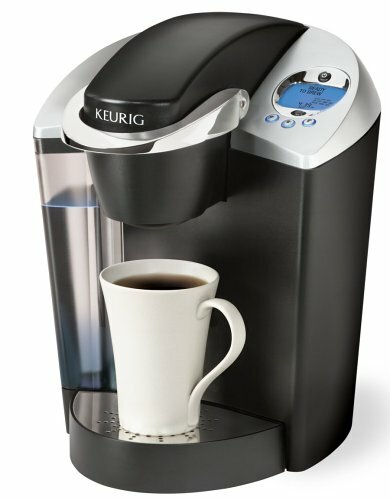 Our favorite Keurig device has to be the Classic Keurig K55 machine. It has a long history of being a consumer favorite and ti uses basic k-cups that are widely found everywhere from a ton of different brands. Gamble Bay Coffee is here for you and we always strive to help you out on your quest to finding the right model for yourself. We hope that you liked out article and learned at least something new that would help you find the right model for yourself. Looking forward to having you with us again, we wish you a great day! ← What’s the Difference Between Nespresso Vertuoline and Original line?